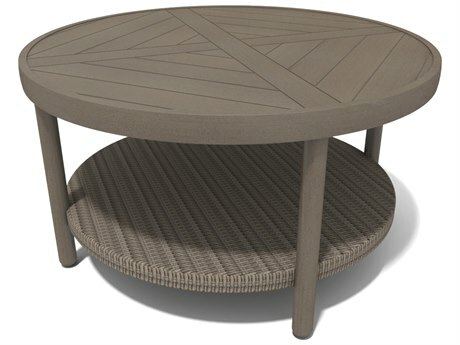 As their name suggests, outdoor coffee tables provide a functional and decorative surface for placing an array of items, such as coffee. 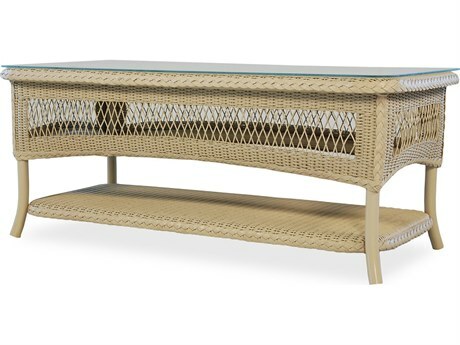 These outdoor style coffee tables help to bring the classic aesthetic of an indoor living arrangement to any outdoor space. 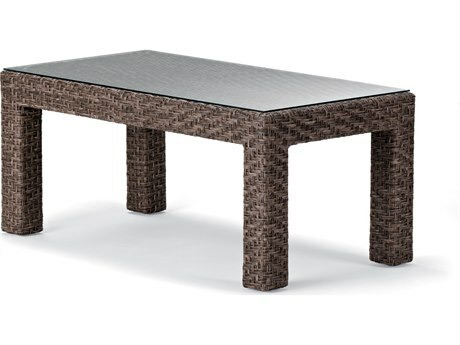 Suited for use in both commercial and home settings, PatioLiving carries a wide inventory of patio coffee tables, with options to match the existing look of any arrangement and appeal to various individual decorating preferences. 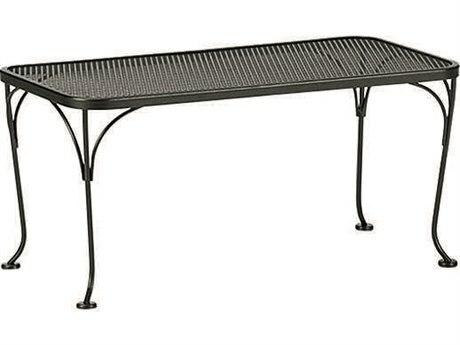 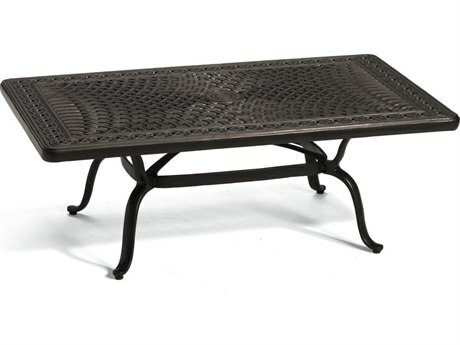 An outdoor coffee table contributes to a classic, stately aesthetic in any outdoor space and also features several unique functional elements. 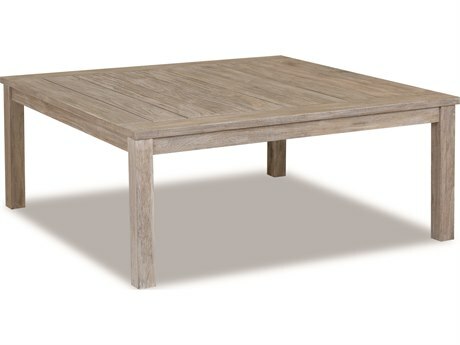 Coffee tables measure close to knee height, making them one of the lowest tabletop options available. 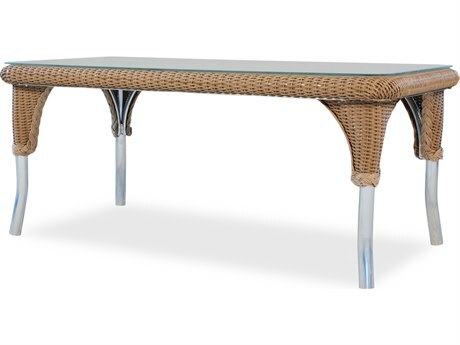 Their low height makes these tables unobtrusive to sight lines, even when adorned with decorative accents or other items. 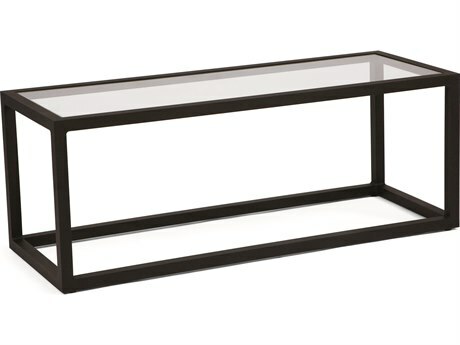 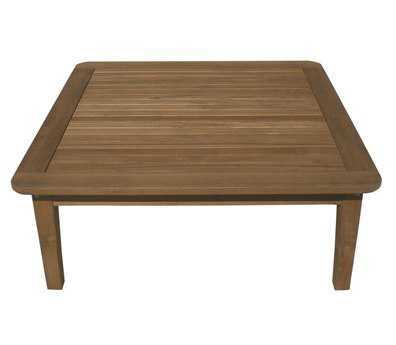 A coffee table provides a sturdy surface to place reading materials, food and drinks, or other items. 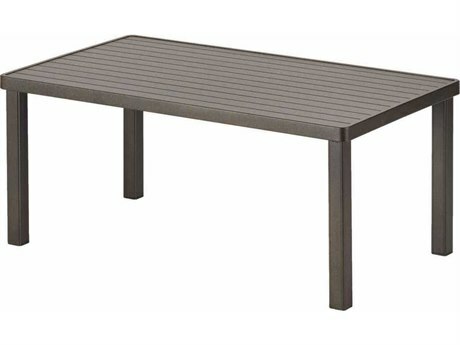 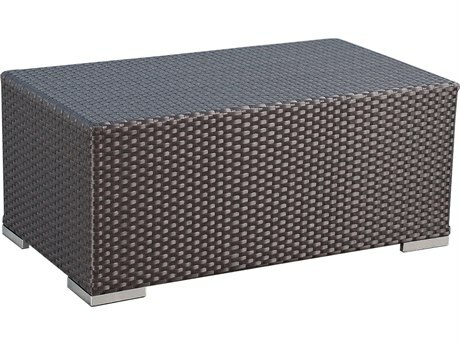 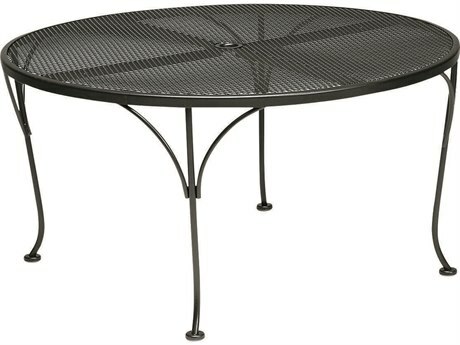 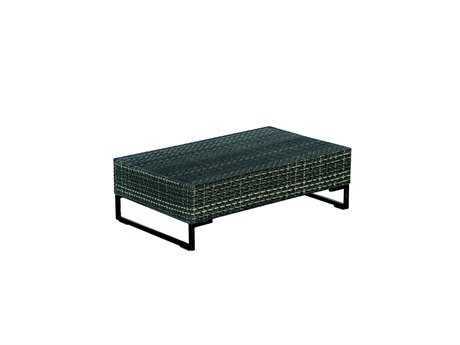 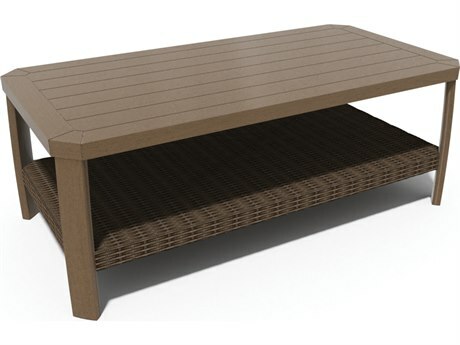 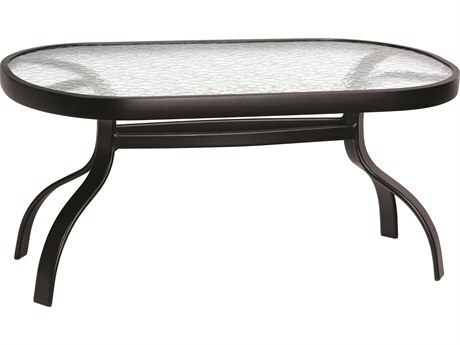 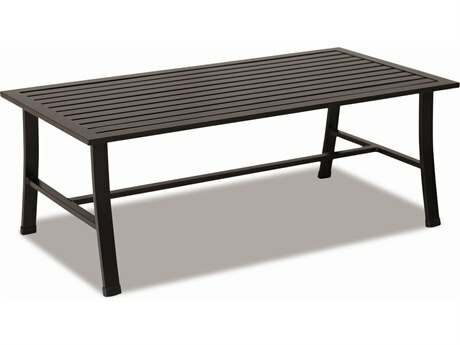 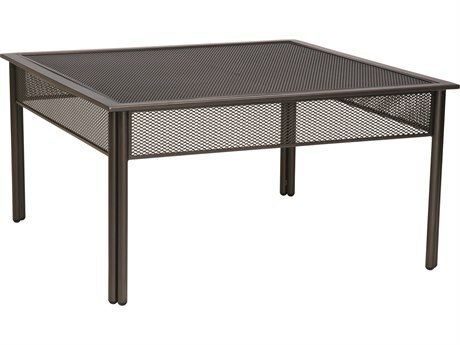 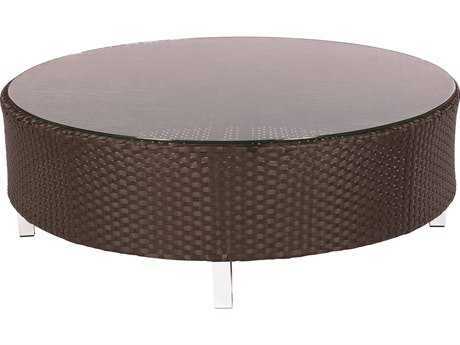 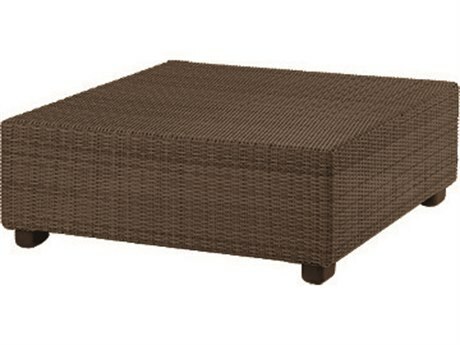 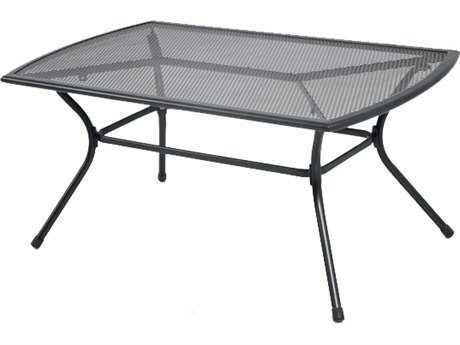 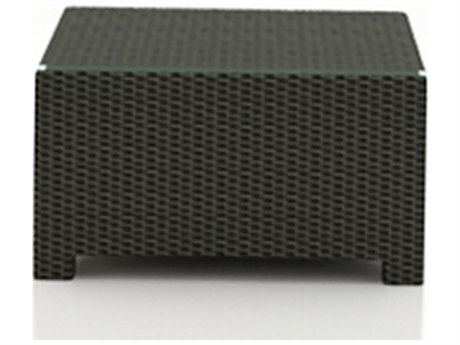 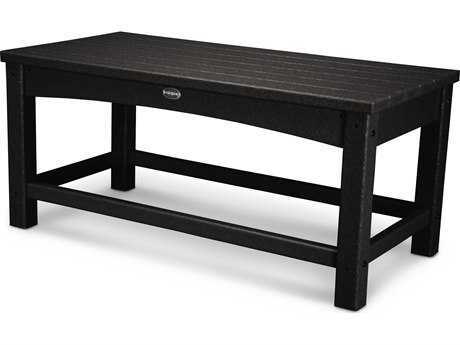 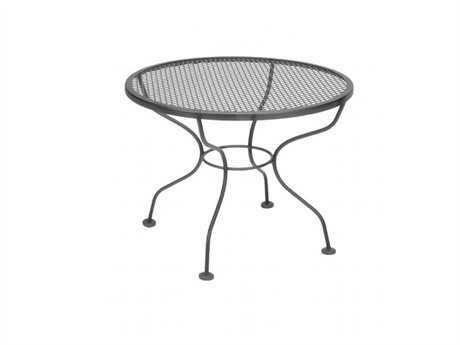 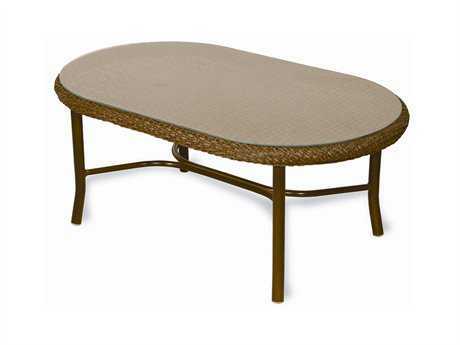 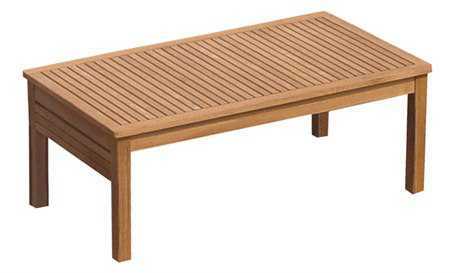 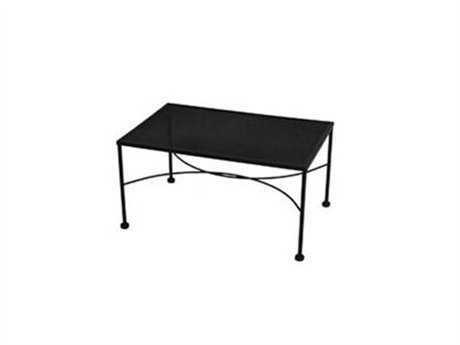 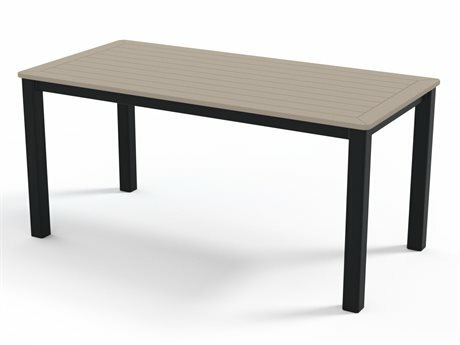 Patio coffee tables are manufactured from fine materials, most commonly aluminum, cast aluminum, wicker, and teak. 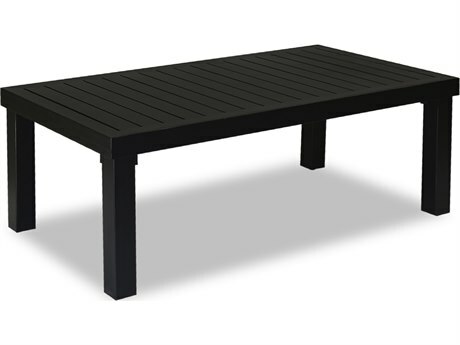 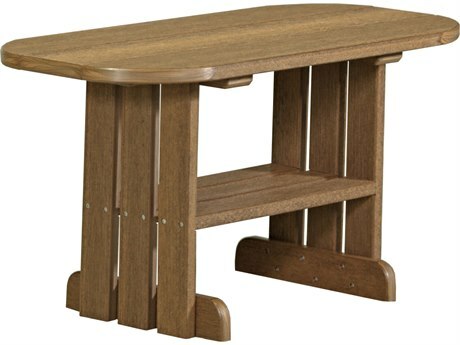 Our selection includes many options for customization across all materials, making it easy to get exactly the table you want. 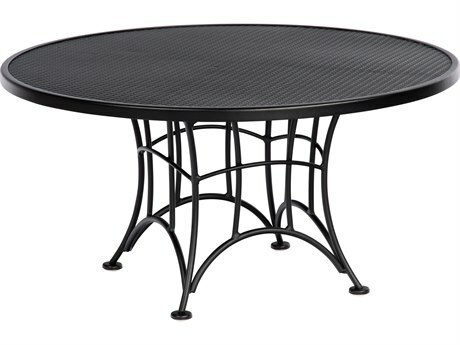 Cast aluminum outdoor coffee tables include both ornate, decorative frame designs and sleek, modern frame designs, for two very different looks. 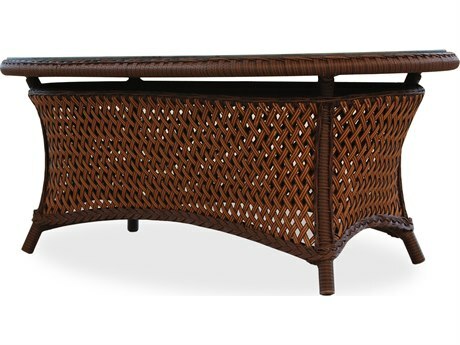 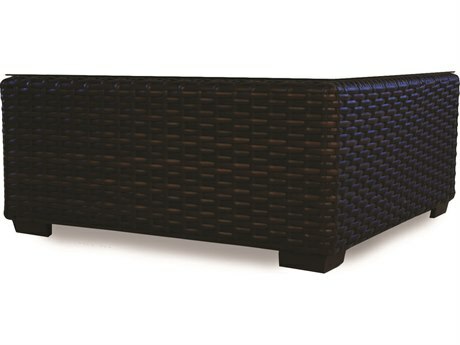 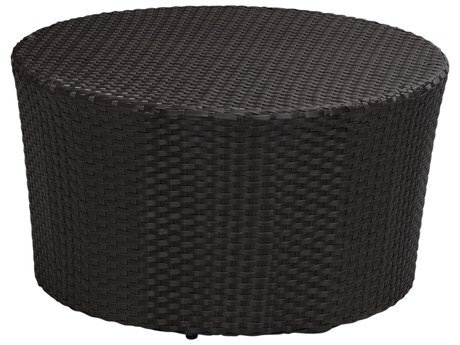 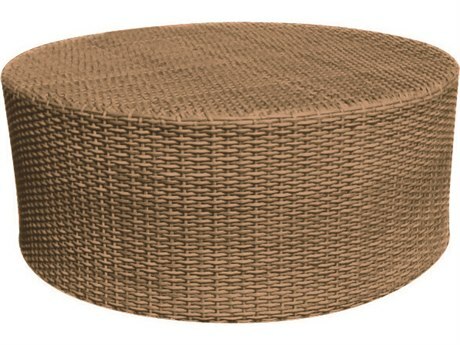 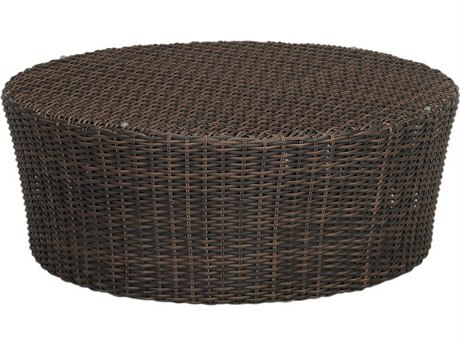 Popular wicker styles can feature dimensional curved bases, and a variety of wicker weave widths and color options. 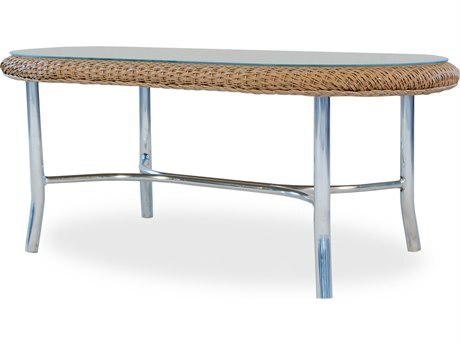 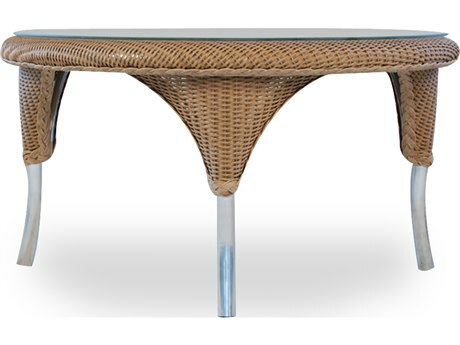 Teak tables feature slated wood styling and surprising structural curves. 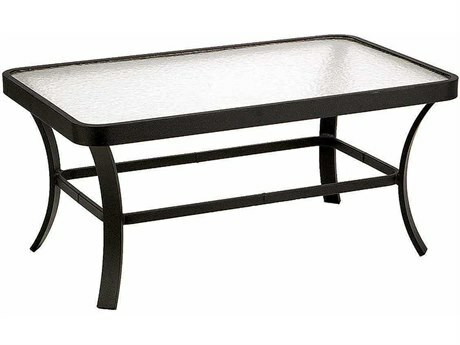 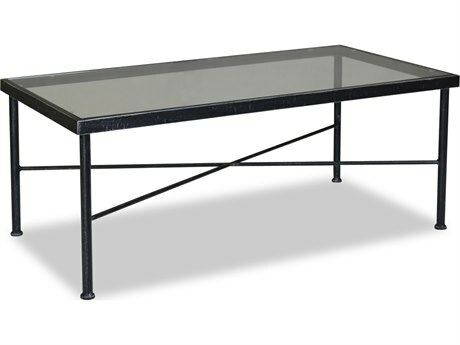 An outdoor coffee table typically features a homogeneous material build, but tables with aluminum legs, glass tops, or stone mosaic tops are also available. 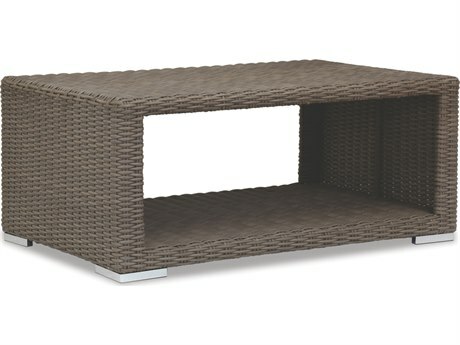 Additional functional elements include lower shelves, integrated tray tops, and pull-out base ottomans. 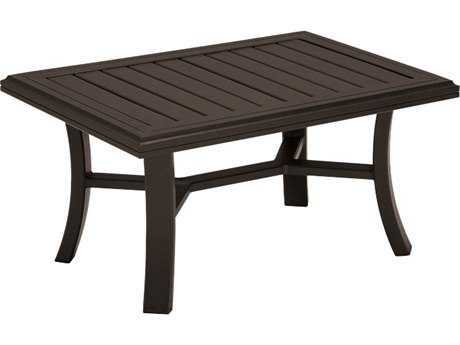 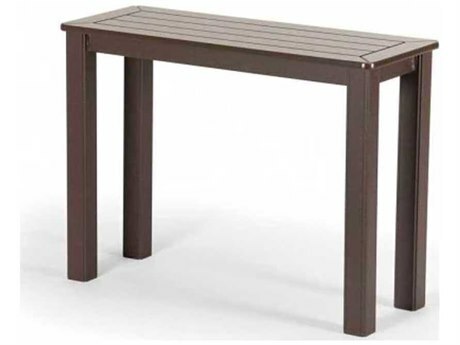 Most of our outdoor coffee tables are weatherized to inhibit damage from rain, snow, or UV rays, making them well-suited for years of outdoor use and enjoyment. 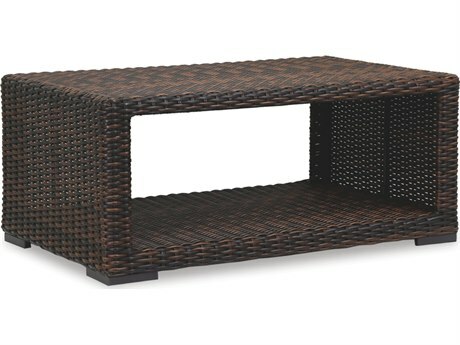 Traditionally, an outdoor coffee table is centrally placed just in front of a sofa. 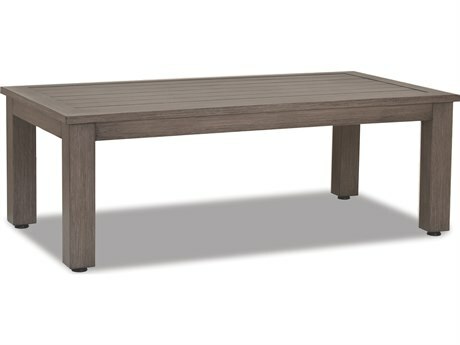 These tables’ rectangular shape mimics the proportions of a standard sofa, making for a balanced look with classic appeal. 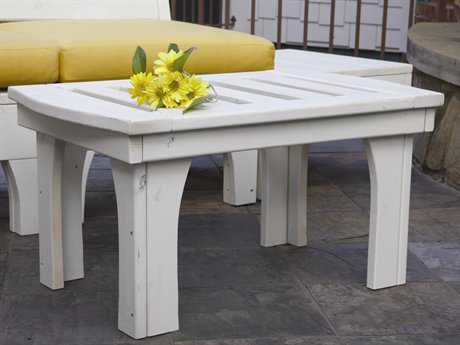 In more compact settings, smaller sized patio coffee tables can be paired with loveseats, for a similar aesthetic. 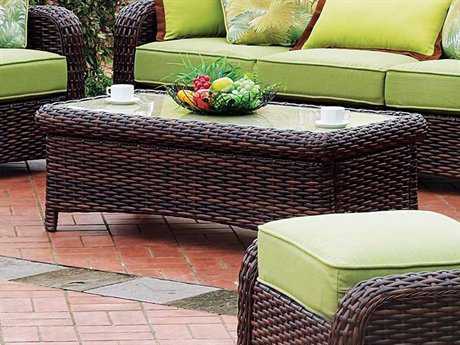 Complete any sofa and coffee table pairing with a couple of complementary lounge chairs and end tables for a truly traditional sitting room arrangement and livable outdoor space. 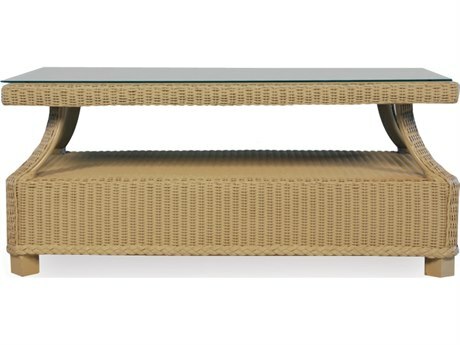 Outdoor coffee tables can be decorated with magazines, serving trays, or other distinct treasures to add additional personality to any space. 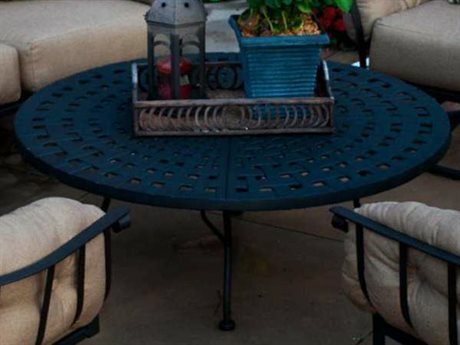 For more information, refer to PatioLiving’s Outdoor Materials Buying Guide.